We have a large terrace, fully equipped with sun-beds and umbrellas, where you can enjoy the spectacular panorama of the Gulf of Tigullio with its splendid coastline that extends as far as the Baia delle Favole at Sestri Levante. If you want to dive into the sea for a swim, there is an internal staircase that leads straight down to the sea. Hotel La Scogliera, built in typical 60’s style, has rooms all been upgraded with private bathrooms and private wifi. Each morning a delicious buffet breakfast awaits you where you can taste typical local Ligurian delicacies served outside on the terrace overlooking the sea. 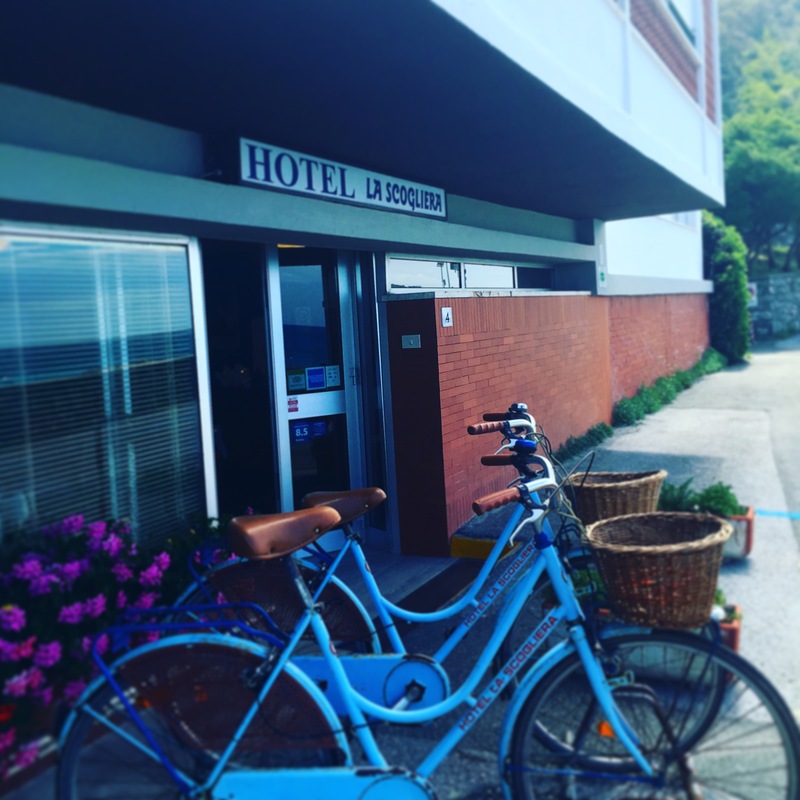 The Hotel provides bicycles so you can ride off to explore the surrounding countryside around Cavi, Lavagna and Sestri Levante. However, for those who are keen walkers and used to walking with your dog, then no problem – La Scogliera is totally dog friendly! View the SURROUNDING AREA and ITINERARIES sections for further information on all the activities available during your stay with us: sport, nature, fine eating, excursions and events.